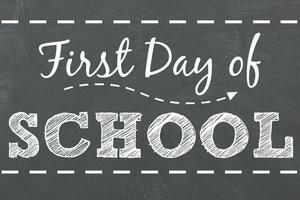 The first day of school for all students is Thursday, August 16th. If your child will be absent for any reason, call our Absence Line at 408-874-3610. If your child has not attended by the second day of school, Friday, August 17th, he/she will be dropped from enrollment and you will need to re-register at the Enrollment Center for a class placement in the district. This placement may or may not be at Latimer School. 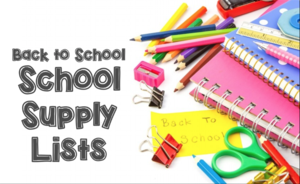 If you would like to purchase school supplies for your child, check out our suggested items for the first day of school. Necessary instructional supplies will be provided by the school for all students. Friday, May 18th, 5-7pm. For more details about the Latimer Luau Family Dance, please click below! Friday, May 25th is Early Dismissal for all grades! Join us on Wednesday, May 16th from 6-7pm for Open House! Kona Ice will also be on site selling shaved ice at 5:30pm! See you there! Latimer Needs to Know your Plans for Next Year! Help us save paper by completing this form online! As we approach the end of the 2017-18 school year, we will soon begin planning for the start of school in August 2018. Please note that the first day of school is August 16th and students are expected to be in class. Please complete this form as soon as possible! THIS INFORMATION IS FOR OUR SCHOOL PURPOSES ONLY--THIS DOES NOT REPLACE ANY DISTRICT ENROLLMENT OR REGISTRATION PAPERWORK. Congratulations to Latimer's People of the Year! Congratulations to Latimer's 2017-18 People of the Year! Staff Appreciation Week will be held from May 7th - May 11th, please click for more details! If you know of a Latimer friend/family who you think would like to be a part of this amazing event, please share this information with them. Come support our Latimer Track & Field stars!